A limited run of these orange life jackets will be available at the Lucero Family Picnic this Saturday! They are hand painted and numbered, limited to 25-so grab yours quick! For those of you that aren’t able to be with us Saturday, you can bid on the autographed yellow one that we are auctioning on Ebay with all proceeds going to St. Jude Children’s Research Hospital here in Memphis! Hey y’all! 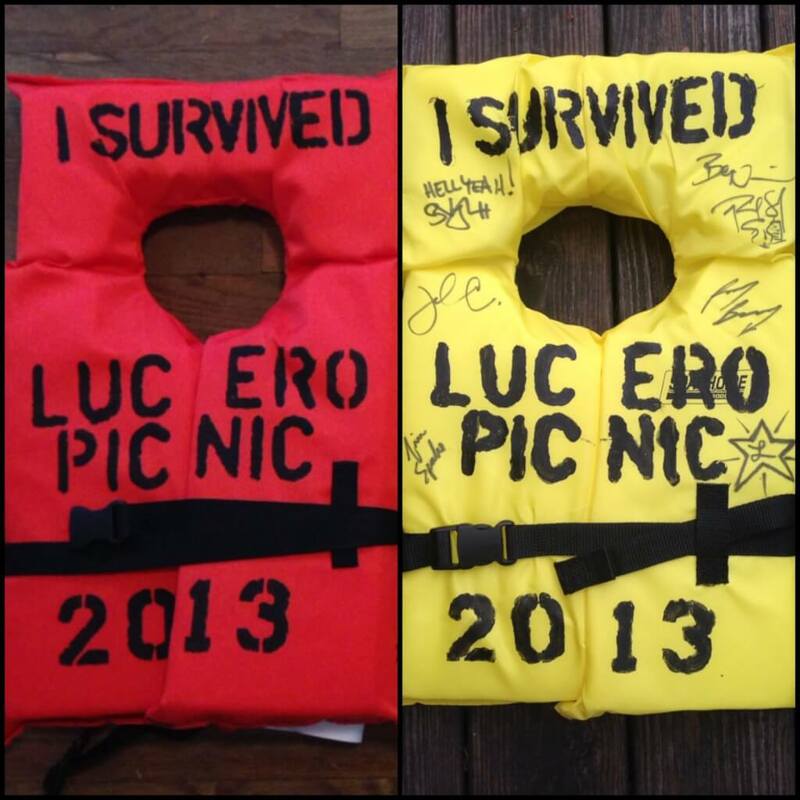 Lucero is auctioning this one-of-a-kind life jacket signed by the band that says, “I survived Lucero Picnic 2013”. If you WERE there, you know exactly what we are talking about. Who knows, it might come in handy at a future Lucero Family Picnic… But the main point of this auction is that all proceeds go to St. Jude Children’s Research Hospital. Our friend Vince Murray has been involved in raising funds for this amazing institution for many years. Vince knows first hand how important the work they do is because he himself was a patient there when he was a child. And since we are extremely happy to have had the opportunity to become friends with Vince and because we have the utmost respect for our friends at St. Jude, we are trying to help out a little. So help us out and please bid whatever you can. It is a great cause. Check out the links on this page.